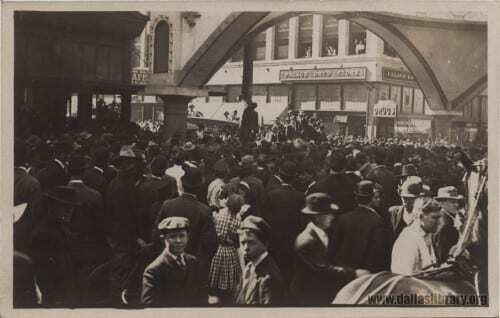 Real photographic postcard of Elks Arch and Brooks Lynching, March 3, 1910. From the collections of the Texas/Dallas History and Archives Division, Dallas Public Library. “Real Photographic Postcard of Elks Arch, Brooks Lynching 1910.” Accession number 22. From the collections of the Texas/Dallas History and Archives Division, Dallas Public Library.